Anyway, it is all done now; one dimmable string with 12 white LEDs and one with 9 (if I remember correctly) white ones + 6 Royal Blues. 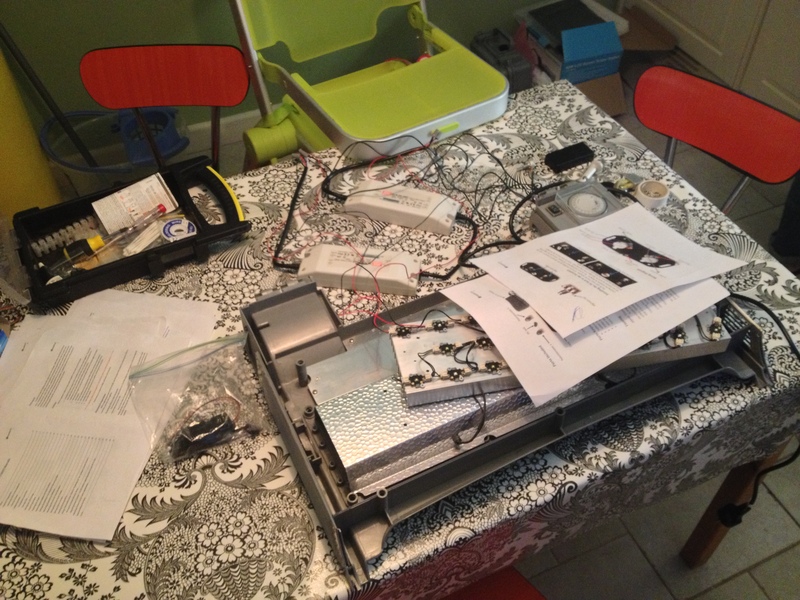 The LEDs should have worked with the inbuilt timer but (at the moment) they don’t. This also means that the four inbuilt blue (moonlight) LEDs do not work at night, which is a shame. A very nice shimmer in the water; quite blueish, but I hope to get a replacement potentiometer soon so I can play around with the colour. I have put in sand instead of gravel which looks nicer. I have put in some Wireweed to provide some competition for algae now the light are back on (I could not resist sticking in some red seaweeds I found). Some cushion starts and topshells were left, but with the chiller and LEDs in place it is time to get properly get back to collecting animals and seaweeds. 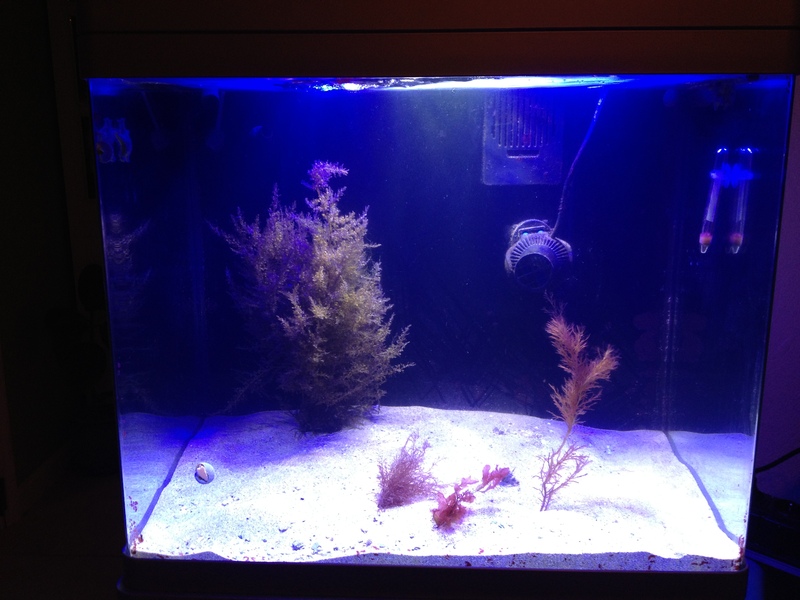 Marius has raised the bar pretty high on his Irish Rockpool Aquarium blog, so let’s see how it goes! This entry was tagged dimmer, LEDs, plug-and-play, RapidLed, sand. Bookmark the permalink. Hurray the sun is shining in your tank 🙂 That top picture looks like there was a lot of headscratching involved 😉 Really looking forward on your new setup especially in terms of red seaweed and the blue lights. All my attempts with daylight only with red seaweed have failed so far unfortunately. Well done, just the right time now to get started again for summer.